A consent form, as is evident from the name. It is one that is used by an organization or a person to gain the content of a party concerned. The form usually outlines the terms of a certain situation for which the consent is being sought. A consent form is more of a legal document which binds both the parties to follow certain regulations. In the case of any discrepancy, it can be used as a piece of evidence in the court. This consent form is generally used by a business organization to grant its consent for the release of certain confidential information to a person or agency. The form requires the organization to fill in the details of information to be released. 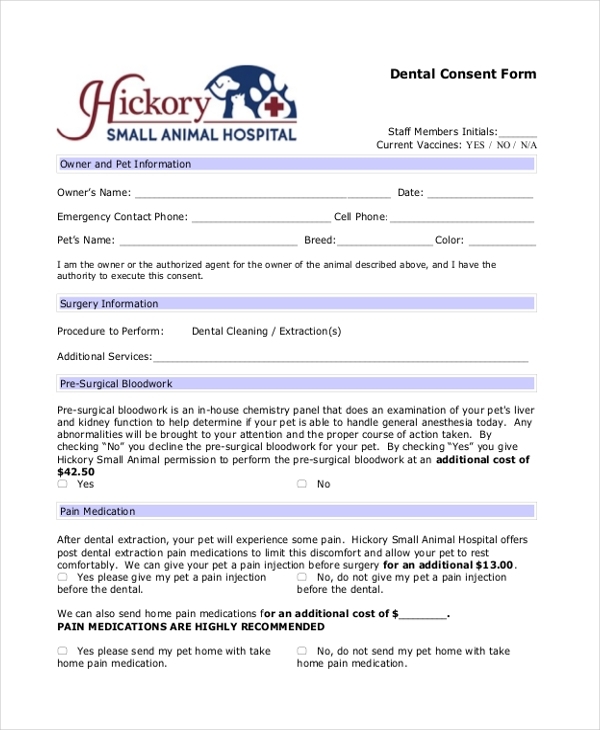 Used by dentists, this form allows them to gain permission from a patient or his relative to perform a dental procedure. The form elaborates on the various complications and discomfort that could be experienced during the procedure. 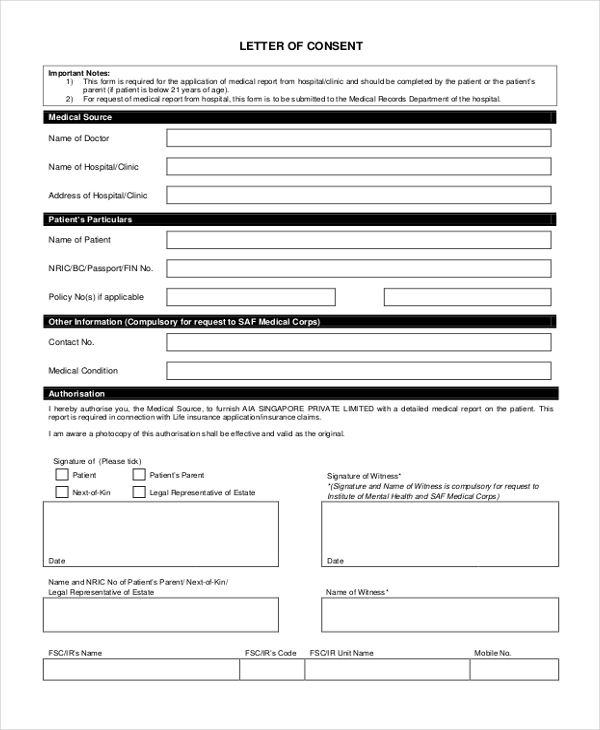 This form is mainly used by hospitals to gain prior permission from their patients’ relatives to perform a surgical procedure or other care in case of an emergency. 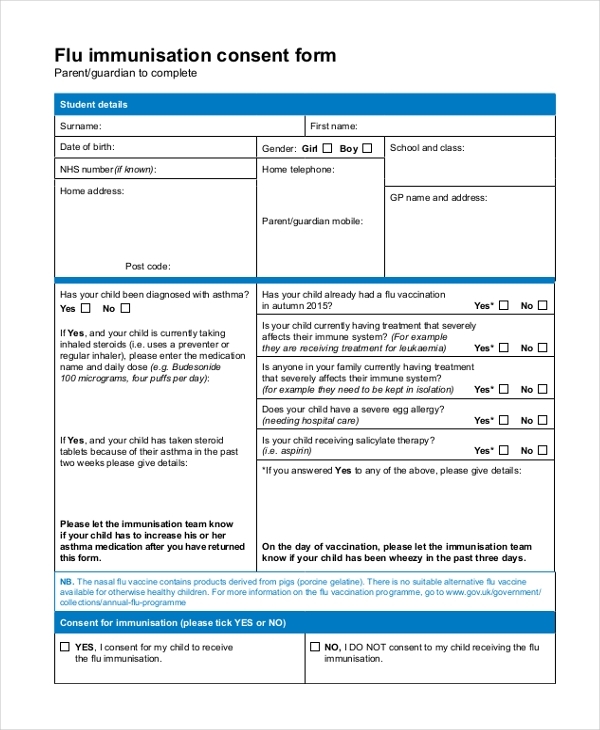 This form is mainly used to avoid delays in case the next of kin is not available. 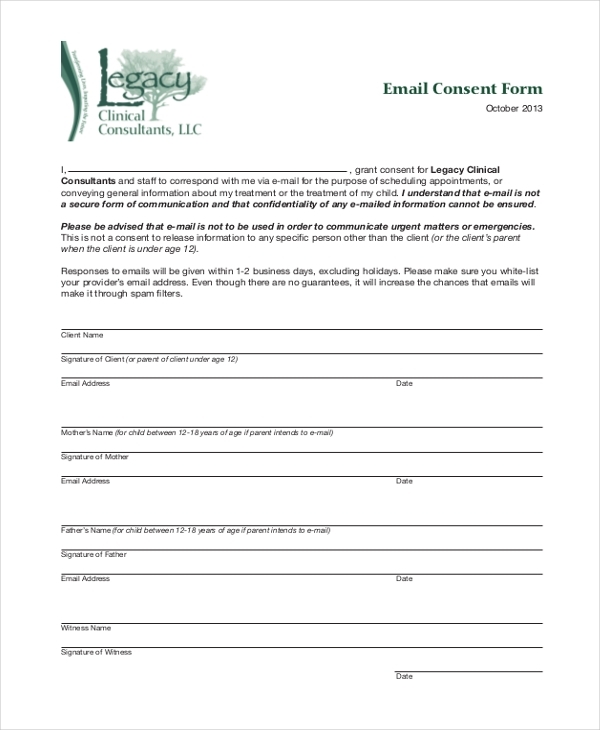 This consent form template is used by organizations to gain permission from their clients to communicate with their through emails for business purposes. The form elaborates on the regulations that both the parties need to adhere to. 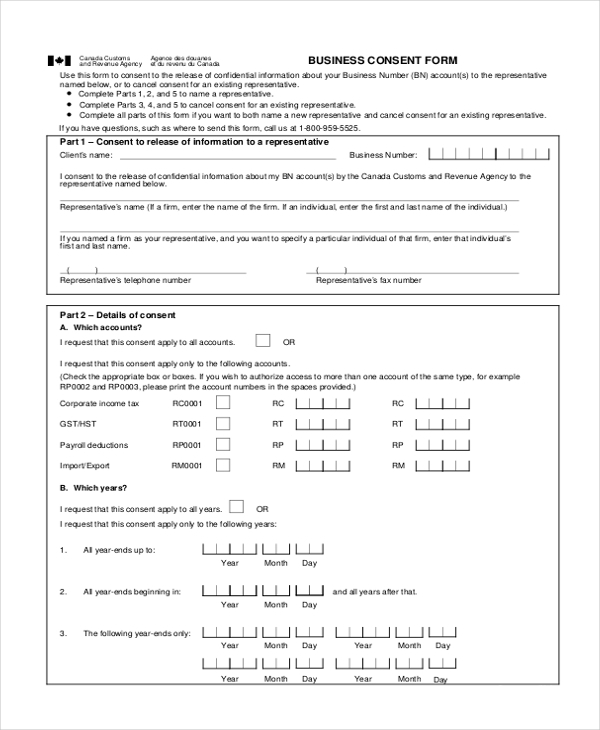 Used by consultation agencies, this form allows them to gain permission from employees to share their personal details with their prospective employers. The form comprises of certain terms that the agency needs to follow. 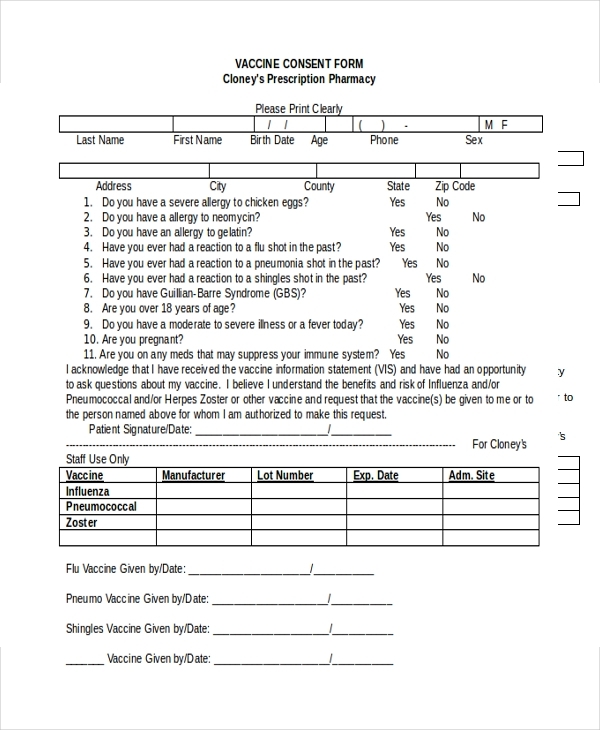 This form is usually used by educational institutions and schools to gain permission from the parents of the students to immunize their child against the flu. The parents are required to share the medical details of their child before giving their consent. 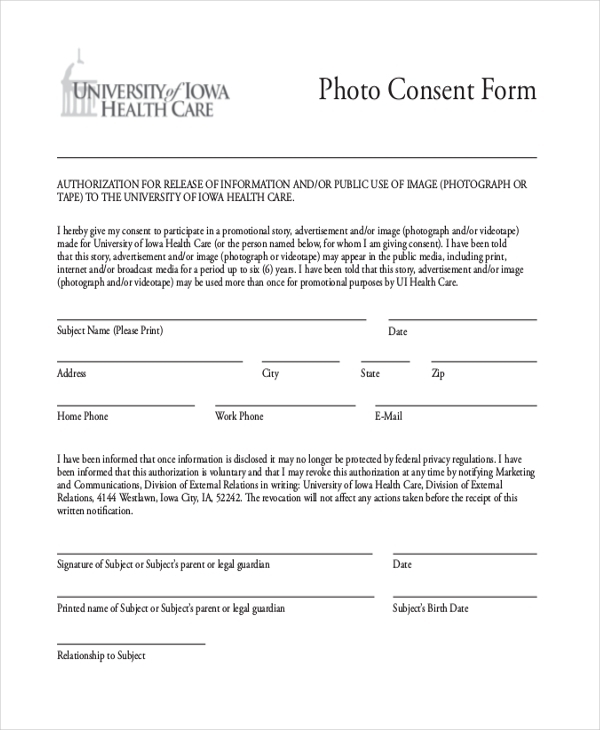 This is a standard format of a consent form that can be used by any organization to design a unique consent form. It comprises of all the important segments that should be a part of such a form. 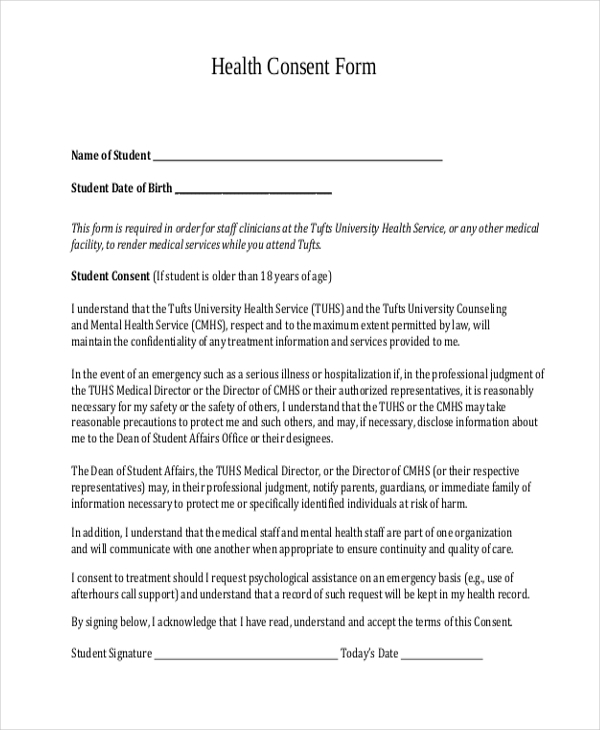 A health consent form is generally used by schools/colleges and universities to gain the permission of the parents/students above 18 years of age to hold routine checkups and to take necessary action in case of an emergency. Whenever an organization or agency intends to interview a person for any purpose, they need to get this consent form signed by the person. The form comprises of various regulations that both the parties need to adhere to. This is a sample letter of consent that can be used by any person who wishes to grant his/her consent for a particular event. This is a standard format of the letter. The user can make changes to it as per his requirement. 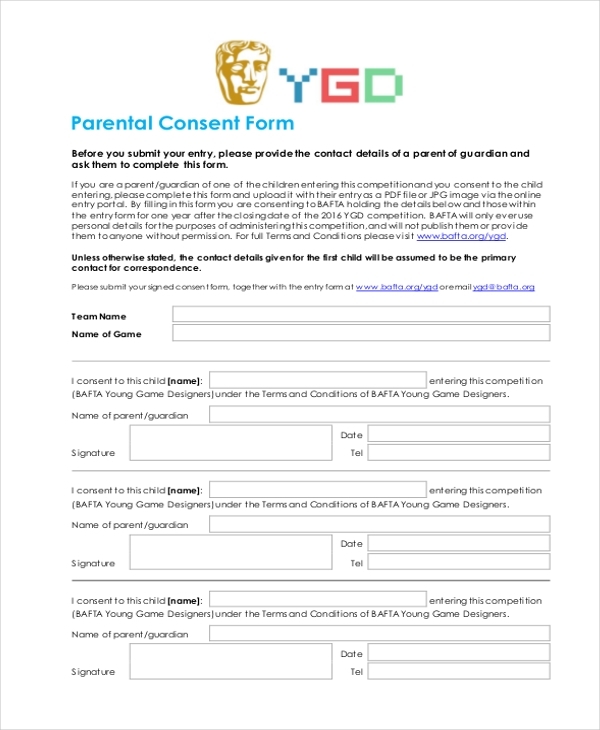 This is a legally binding consent form that is used by an agency or organization to gain permission from the parents or guardian of a child or young adult for any specific person. The form contains terms that the agency needs to follow. 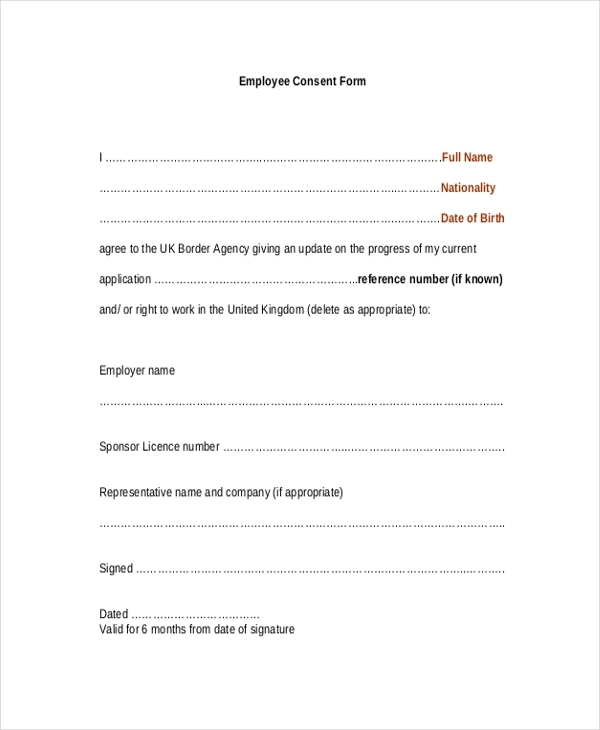 In case a person intends to carry out some business work or anything else on his rented space, he is required to get this consent form signed by his landlord. He can gain necessary permissions from authorities only on submitting this form. 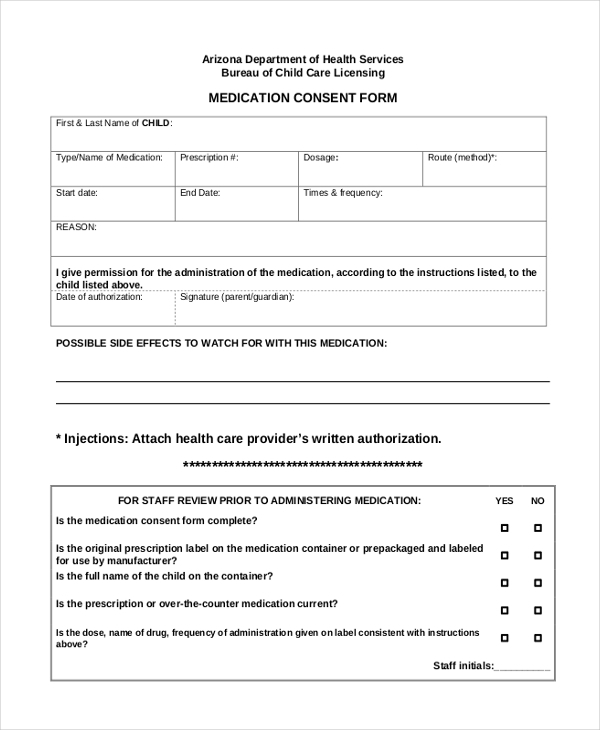 Generally used by hospitals and clinics, this form allows the medical authority to secure permission from the parents to administer medical treatment to a child. The parents are required to fill in any drug allergies that the child may have. 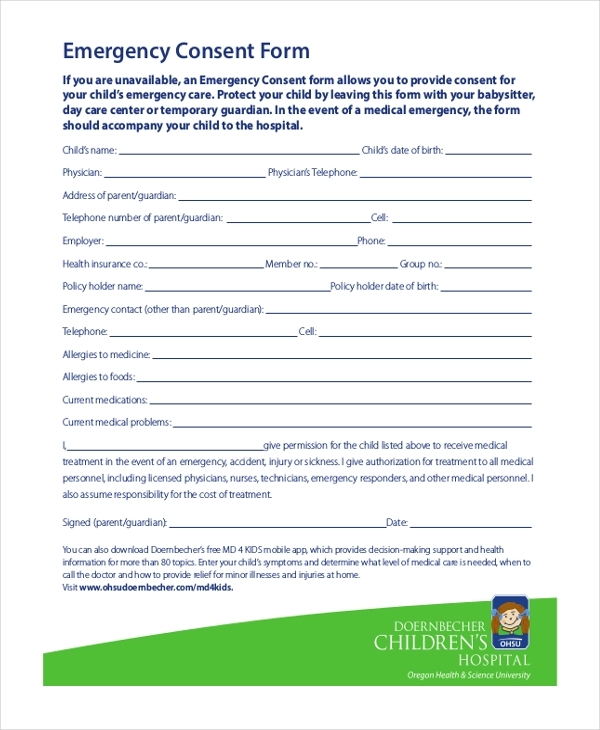 This form can be used by a school/sports club or any other agency to secure permission from the parents before enrolling their child into an event or program. The form outlines the regulations that the parties need to follow. This form is used to secure consent from a person whose photograph might be used in a company brochure or any other marketing content. By getting this form signed by the person, the company ensures that there would not be any hassles later. 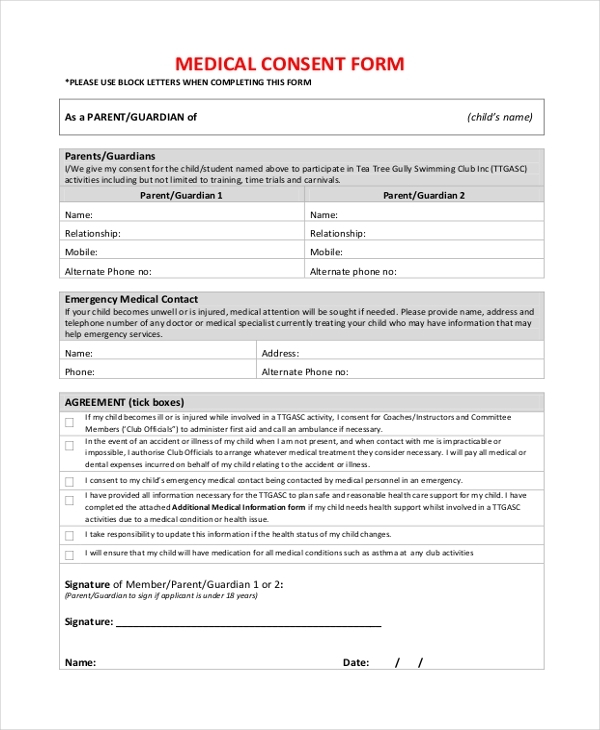 Usually used by medical facilities and hospitals, this form allows them to seek the permission of a patient to share his medical details in a magazine or with another medical facility or personnel. 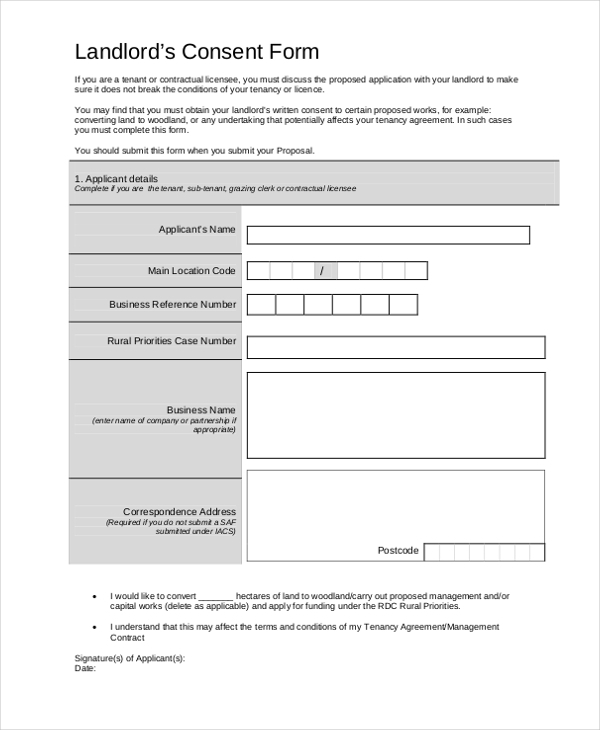 This form is used by a college/university to seek the permission of a student to include him/her in a research program. The form comprises of the details of the project, thus allowing the student to make an informed choice. 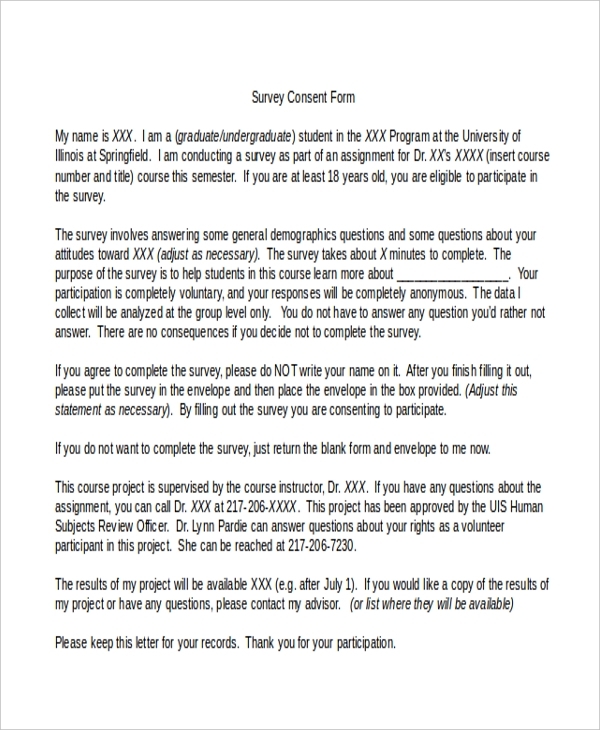 As the name suggests, this is a sample format of a consent form. Comprising of all the important segments, the user can use this form just as it is or can make changes to it as per his requirements. 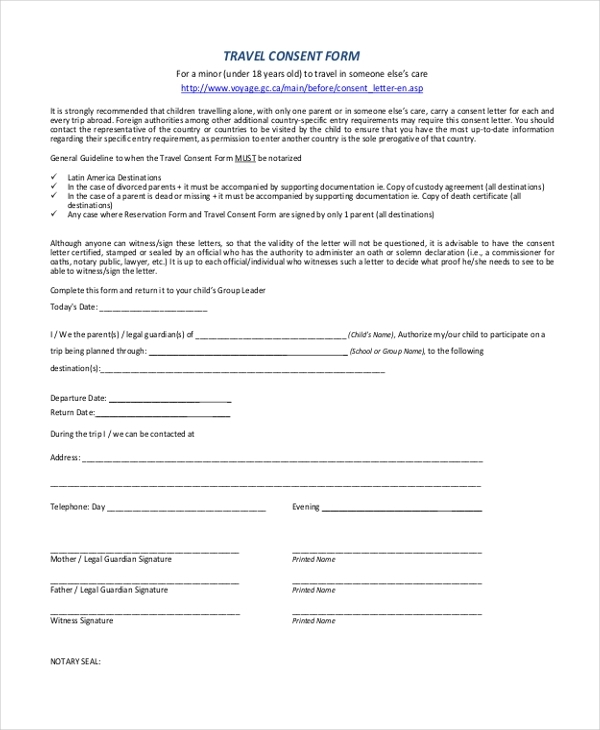 Any person who might be conducting a survey as part of a project or on behalf of an agency needs to get this form signed by the participant before beginning the survey. The form informs the participants about what he can expect. Whenever a school/college plans a tour with students, it gets a travel consent form signed by the parents to seek their permission. The form informs the parents of the various regulations that the authority is willing to take. This form is mainly used by a doctor or medical agency before administering a vaccine to a person. The form requires the person to share a few details about his medical history and the vaccines he has taken in the past. 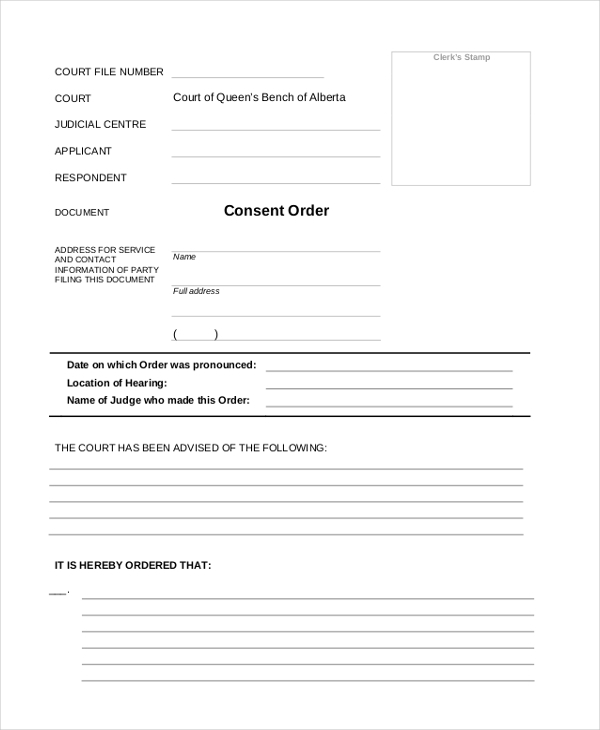 This is a consent form template that is used by two or more parties to get into an agreement. The form outlines the various terms of association which the parties agree to, in order to form the agreement. 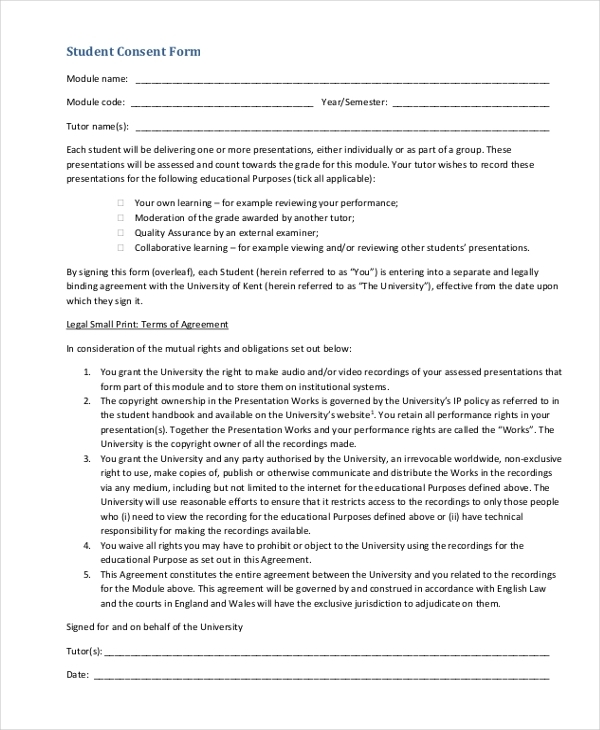 This form is used by a college/university to secure the permission of a student to record his/her presentations and then share it with other people. The form includes certain terms that both parties need to adhere to. This form is usually used by the police department or other government agencies to carry out routine background checks on the citizens in their locality. The person is required to fill in all the important details and furnish related documents. 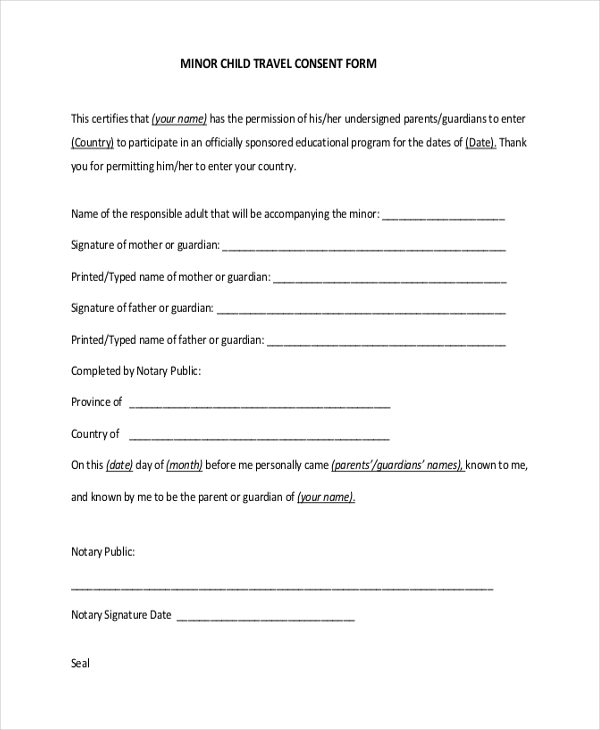 As it is indicative of its name, this form is used by a school to secure permission from the parents of their students to take them on a picnic. The form elaborates on the regulations that the school assures to follow. Any person or agency who may be working in tandem with other people may require their permission for certain reasons those can use consent forms. Signing a consent form binds both the parties legally and expects them to follow the regulations. Schools/Colleges/Universities can use a consent form to secure permission from the parents of the minor students for certain reasons. In the case of student older than 18 years, the form is signed by them to grant permission for a particular purpose. Organizations/Agencies may use a consent form to gain permission from a person to share their information with other people. 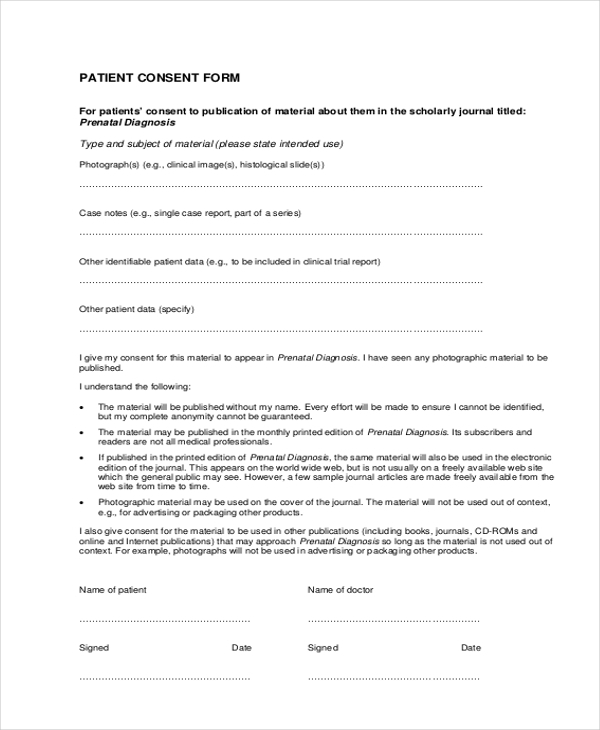 Hospitals/Medical Facilities can use a consent form to secure permission from a patient or his kin to carry out a medical procedure or to share his medical information. How to Format Consent Forms? On the top of the consent form, add the name of your organization followed by the address and other details. Below this, write the regulations and terms which you agree to adhere to, in case the permission is granted by the person. You can also include a segment to collect the details of the person granting the permission. Based on the kind of consent form you can design or you can add other segments that would avoid any discrepancies at a later date. A consent form can help you to secure permission from a person or authority and can save you from any legal hassles. 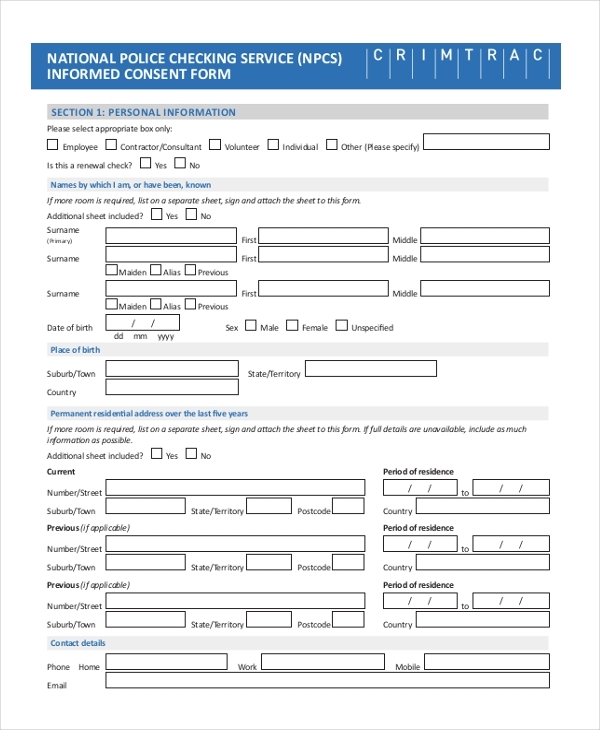 In case, you are not well versed with designing a consent form, go ahead and download one from our vast collection. These forms are easy to customize and ready to be printed.